It happened to you and it’s uniquely yours. No one else has your story. No one else has your particular mixture of experience and ability. Not only did God make you unique in all your parts, but the life He lets you live is just as uniquely yours. Nobody else experiences the world in exactly the same way as you. The more you stick to what is uniquely yours and the more authentic you are in what you do, the more interesting it is to others and the more marketable it is. My incredible wife, Terri, is a very interesting person with a compelling personal brand. Beyond all the foundational things that attracted me to her back in our college days (her love of the Lord, her values and her upbringing, her beauty, her courage, her playfulness, her native intelligence, her musical gifts, and above all, her undeniable wisdom in choosing me! ), she has lived an incredibly interesting and inspiring life. Her list of brand experiences include prolonged infertility, surviving a life threatening brain tumor, engineering degree and work experience, homeschooling four children, a consistent record of physical fitness, mastery of multiple musical instruments, dedication to worship and serving in the name of Christ, leading and mentoring many other women, high level entrepreneurship and business ownership, fabulous public speaking to audiences of tens of thousands around the world, a wildly popular blog, not to mention being married to a rascal like me! In addition to these unique experiences, many of which were beyond her control, how she carried herself through these events is even more impressive. The trials came without complaint, and the victories came without conceit. If you wrap all these things together you’ve got one incredible woman with a lot to share with others. All of these pieces together comprise Terri’s personal brand. They make her interesting. They give weight to what she teaches. They give power to what she says. Now, what would happen if Terri tried to teach people about scuba diving? Or produce a product focused on fashion? It wouldn’t work. It’s not her. It doesn’t fit her brand. Beyond a shameless ploy to get points with my wife, this example demonstrates that who we are at the core, in the most authentic version of ourselves, is what we should focus on bringing to the world. In other words, only do what only you can do. When you do exactly that, you will be the most fulfilled. It’s when you are doing what you were built to do with the specific gifts God gave you that you feel the most alive. Any time you stray away from this reality you feel less yourself, less alive, less real. Life isn’t about finding employment that pays the bills and then hanging on through the years waiting to die. It’s about discovering what God built you to do and then doing it with all your unique abilities to His glory and pleasure. A lot of people approach me asking how to become a public speaker, how to write a book, or how to best start a blog. Many times they’ve already made an attempt but the effort hasn’t gained traction. My advice to them is always the same: first determine your true authentic personal brand. Find out what you have that is uniquely yours, and work your guts out bringing it to the world. The more your heart is in it, the more others will want it. There will always be a market for the best you’ve got to give (but, that is not to say that it won’t be harder than you can imagine). You’ve got to focus. You’ve got to bring it all to bear on your great unique brand. 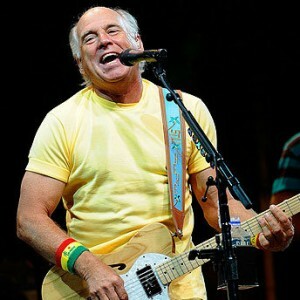 Jimmy Buffett is an overwhelmingly successful musician and entertainer. He has attracted a following of fanatical fans who dress up in crazy costumes and follow him around on concert tours. He has sold millions and millions of dollars of music and books. He has a string of successful restaurants and a clothing line. He even has (or had) a channel on satellite radio! Over the course of more than four decades, Unknown Jimmy Buffett has assembled a massive entertainment empire. And really, when it gets right down to it, he did it all with just one song. If you listen to Buffett’s early music, you will notice that it doesn’t really match his brand. The songs are serious, the topics are ordinary, and it’s obvious that in those early days he hadn’t really struck the chord of his true authentic gift, of his personal brand that would someday delight millions. But as soon as he produced the song Margaritaville, a star was born. He had hit upon it — an escapism genre that whisked people away from their cold, boring lives and put them in the warm tropical sun. Imagine going to a Jimmy Buffett concert. You take in the enthusiastic crowd, you sing along with some of the songs, you feel relaxed and happy as you too escape to the islands for a few fun figurative moments. But what would happen if Buffett finished up his concert and failed to play the song Margaritaville? You would not only feel disappointed, you’d feel cheated. Buffett HAS to perform that song at every concert because it is the classic embodiment of his personal brand, and Buffett, being the consummate entertainer and crowd-pleaser, knows this better than anyone. This principle applies everywhere. How disappointed would people be if Stephen King came out with a marriage book? Or if Dave Barry released a serious novel? Or if Michael Jordon left basketball to play, I don’t know, let’s say baseball? These people, and every successful person in every walk of life, have succeeded by finding their true authentic gift and then giving it over and over with gusto. 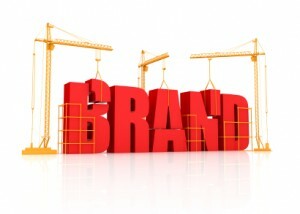 What is your unique brand? What are your particular foundational gifts? What are your unique experiences? How have you grown as a result, and what can you give out of it? What innate talents has God given you that are yours? What makes you feel the most fulfilled? What things do you do that seem to bring the most accolades from people? Answer these questions and package all this together and you will be at least heading in the right direction. Whether this means you will write books, blog, create music, speak on stages, preach, start a company, paint, organize something, lead a charity, invent a new technology, or whatever, if you line things up to be a product of who you are and what you uniquely can contribute, you will succeed. By this, I mean that you will find meaning and fulfillment in contributing something that only you can contribute. Don’t live anyone else’s life for even a minute. It’s yours. It’s unique. Find your Margaritaville and then sing it with all you’ve got until you can’t sing anymore. I promise, there will be fans cheering for your authentic output. Perfectly stated Chris! It does no good to try to be the next best version of someone else, when you can be the first and best version of your unique self. Your own brand. Amen! Thank you for everything that you stand for Chris. 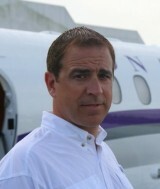 I have read quite a few articles by Mr. Brady (his blog is awesome!). This is an excellent example of his unique brand. Remind people of their God given value and encourage them to go and excel. His brand always leaves one incredibly uplifted. Thanks again Chris!